Home / BATHROOM REMODELING AND MAINTENANCE INFORMATION BLOG / What Kind of Shower Should I Install At Home? What Kind of Shower Should I Install At Home? 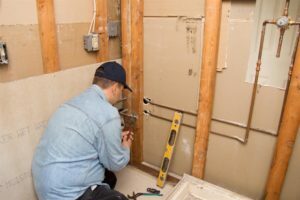 “I want a new shower.” It’s a thought many homeowners have had, especially when they’re living in an old or unrenovated home in need of some major changes. However, once someone tries to move beyond just thinking about a new bathroom and actually putting one into their home, it becomes apparent just how many choices are involved in making it a reality. In addition to the financial and logistical planning involved in such a large home renovation project, homeowners need to choose from the many different shower options available to them. 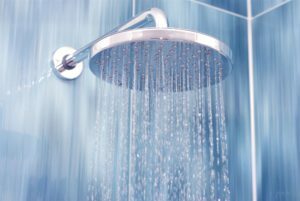 What are the different types of showers that can be installed, and which ones are the best? We run through them below. The first choice that has to be made is whether or not you want a prefabricated shower stall or a tile shower installed in your home. Shower stalls are created in a factory according to a pre-set design and can be shipped to your home in a few pieces. Once it arrives, it can be installed in your bathroom. Tile showers, on the other hand, are designed and built on-site. While tile showers give you more design flexibility, they come with a serious disadvantage, and that is cost. For the privilege of getting your own custom-built shower, you will have to pay for not only the raw materials but the labor of carpenters and tilers. Though shower stalls are prefabricated, there are enough variations in size and design that only the pickiest of homeowners won’t be able to find one that fits their needs. Once you’ve picked whether or not you want a prefabricated unit or a custom tile shower, the next decision you need to make is what design your shower will have. The two main options in this area are the walk-in shower and the bathtub/shower combination. Unlike the above entry, there is no one choice that is obviously superior to the other; the final decision will vary depending on the individual homeowner’s needs and personal taste. The main benefit of walk-in showers is that they tend to have much more room inside them than showers that also have to double as a bathtub. If you never take baths, then there’s no real reason not to choose a walk-in shower. Additionally, walk-ins are more handicap friendly. If you or someone you know has limited mobility, a walk-in shower is almost always going to be a better decision. If, however, you or someone you live with enjoys taking baths and you have the space for a full tub, you will probably prefer the bath/shower combination. Of course, these are only the first in a series of decisions you will have to make while remodeling your bathroom. To make the process easier, you’ll need the help of people who know their way around shower wall kits and what it takes to install them. To speak with our shower and bath installation experts today, contact us at 888-228-4925.